St. Mary Catholic Church in Summerton began in 1899 when a group of Lebanese immigrants settled in the area in search of employment and opportunities to start their own businesses. 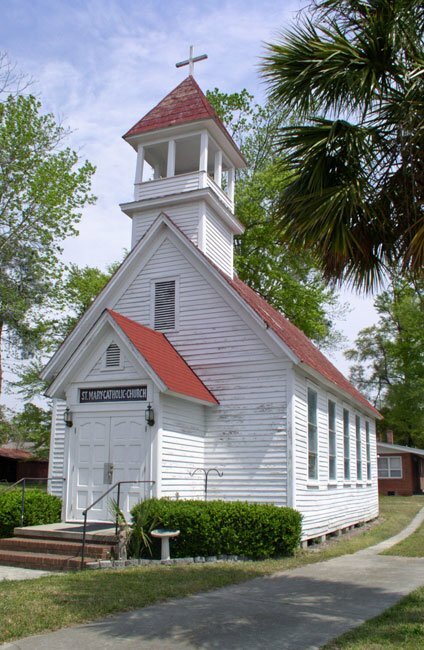 The Lebanese families were of the Catholic faith, and the nearest Catholic church – present-day St. Anne Catholic Church – was located in Sumter. 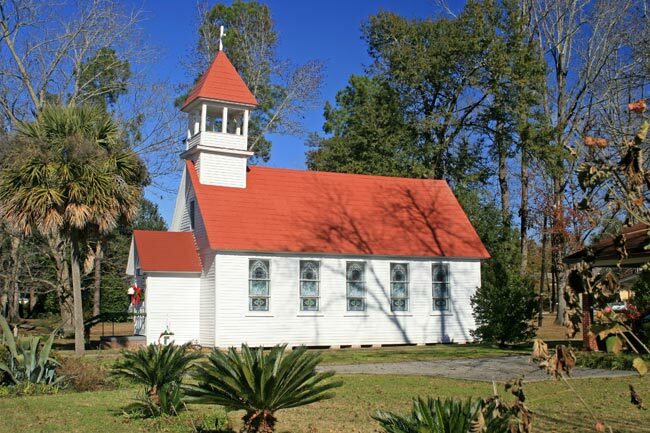 In order to worship in the Catholic faith, the group either had to travel to Sumter or gather in private homes as priests came from Sumter to celebrate Mass, which they often did. Finally in 1913, members of the growing congregation joined to purchase a plot of land in Summerton. A year later, this Carpenter Gothic church was complete, and the congregation flourished in its own sanctuary as a mission of St. Anne. In 1960 St. Mary was granted its own parish and became an independent church. Forty years later, in 2003, St. Mary gave rise to its own mission church – Our Lady of Hope – in Manning. By 2014 Our Lady of Hope had increased in membership as the population of the town grew. At the same time, the number of parishioners at St. Mary began to dwindle. As a result, in 2014 St. Mary became a mission of Our Lady of Hope.